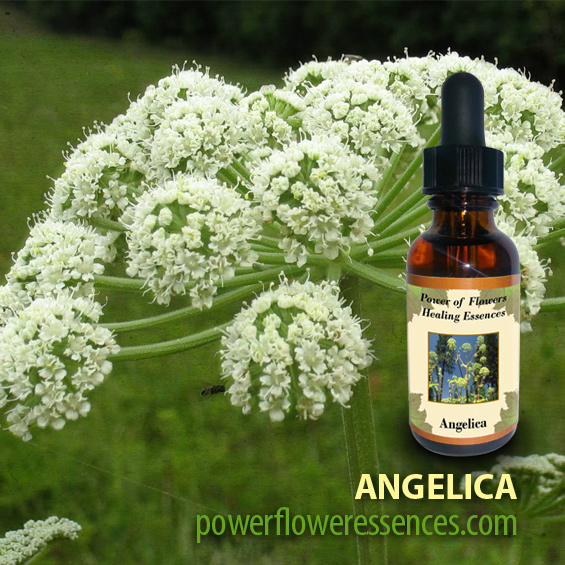 Angelica Flower Essence - helps those who are seeking practical solutions to soulful inquiries. Establish a firm connection between heaven and earth! Angel’s Trumpet Flower Essence - helpful for those pointed toward a profound shift in consciousness. This essence mirrors the soul's need to journey into transition. Apple Blossom Flower Essence - purifies emotions and restores a sense of inner health. It is also beneficial when faced with health issues or bad health habits. Blue Jade Flower Essence - assists those who feel very different in the world although they carry exquisite beautiful energy. They may have felt as if they were the ‘black sheep’ of the family, and Blue Jade Flower helps them recognize their unique gifts. Borage Flower Essence - assists us when we need courage and the optimism to move through obstacles. The essence helps the heart discover love beyond ego, and pride without foolish attachment. Buttercup Flower Essence - carries a blessing of sweetness, restoring the inner child aspect of one's inner world. It brings joy, calm, acceptance, and genuine sweetness into body,mind, and spirit. California Poppy Flower Essence - ignites intuition and awareness of dreams and imagination and helps those who have clairvoyant gifts. It helps with the clearing of addictions and drug abuse. Calla Lilly Flower Essence - purifies, rejuvenates, and balances one’s spiritual-sexual nature, expanding one’s notion of sexual identity. This is a wonderful flower remedy to take, as a relationship healer, with your partner. 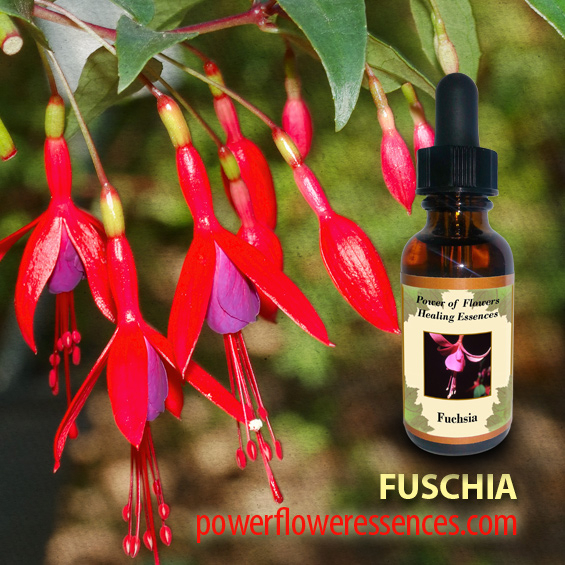 Fuchsia Flower Essence - assists one in accepting long-repressed emotions, and embracing one’s long-submerged and neglected grief. Iris Flower Essence - nurtures the hardened aspects of procrastination, lack of inspiration, and dullness within. It is perfect for anyone engaged in or exploring creative arts. Manzanita Flower Essence - helps to uplift our attitude concerning body image, assisting people suffering from eating disorders of any kind, and helping those sensitive souls who have a difficult time living in the physical body. Orchid Flower Essence - greatly enhances one’s sensuality and sexual desire. 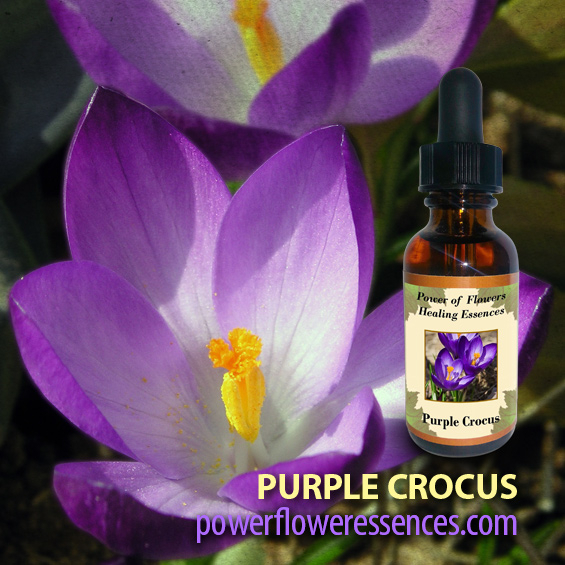 Purple Crocus Flower Essence -enhances our ability to attune with pain and grief and to release the tension around these experiences. Saguaro Cactus Flower Essence -can help individuals align vertically to a higher order of personal authority and integrity. Dandelion Flower Essence - allows one to release rigid and unbending thought forms and body language. This flower essence helps those who struggle with compulsive behaviors. Glacier Lilly Flower Essence - bestows strength among the humble souls who often feel unseen or unheard. Lavender Flower Essence - washes one’s energetic field, and soothes and heals a shattered soul force when mental and spiritual properties have become overly burdened. Morning Glory Flower Essence -aligns the individual's quest for new vision and vitality. It opens one to New Awareness and strengthens ones ability to speak, share, shine in the world. Oriental Poppy Flower Essence -beckons one to journey into the mysteries of creative visualization and dream journaling. 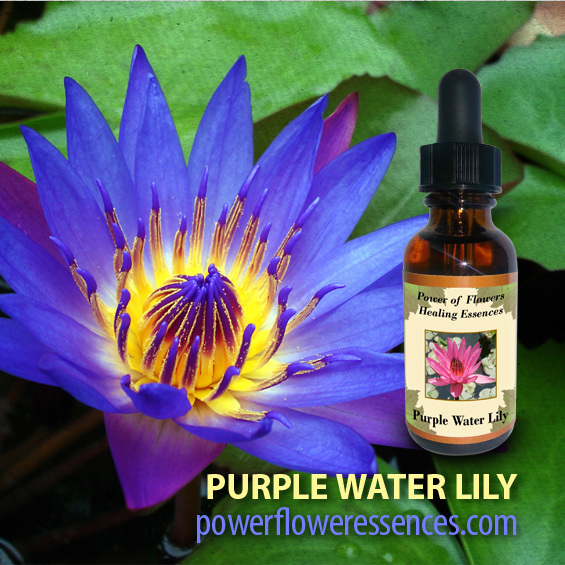 Purple Water Lilly Flower Essence -gently assists with opening channels of communication with one’s higher self. Fig Flower Essence - capable of restoring and enhancing memory, and is excellent when doing past-life work. Hibiscus Flower Essence - energizes the first and second chakra's, undoing blockages in the lower back and spine. Lilac Flower Essence -helps us to relax into the joy of being. It is perfect for those seeking a less hectic inner life. Mountain Pride Flower Essence -assists those who wish to define their purpose in life. This essence is for those who strive and persevere with fortitude and an earnest heart. Passion Flower Essence - seeks to purify the kundalini forces, strengthening one’s connection to unconditional love. Queen of the Night Flower Essence -assists women during the changing cycles of life, helping us to age gracefully. Forget Me Not Flower Essence - enhances awareness of karmic connections in one’s personal relationships. Indian Paintbrush Flower Essence -helps in regaining lively, energetic creativity with exuberant artistic activity. Lotus Flower Essence - stimulates the seventh (crown) chakra to open to Divine inspiration and Spiritual liberation. Its essence floods the soul with Divine Light. Nootka Rose Flower Essence -gently and uniquely stimulates the heart chakra to open to Cosmic Love and Wisdom. Pomegranate Flower Essence -restores self-nurturing and regenerates fertility on all levels.